ZoomNotes is the most versatile note-taking app, with smooth ink in eight different pens, text, unlimited zoom, sub-pages, linked sound recording, automatic palm rejection and much more. 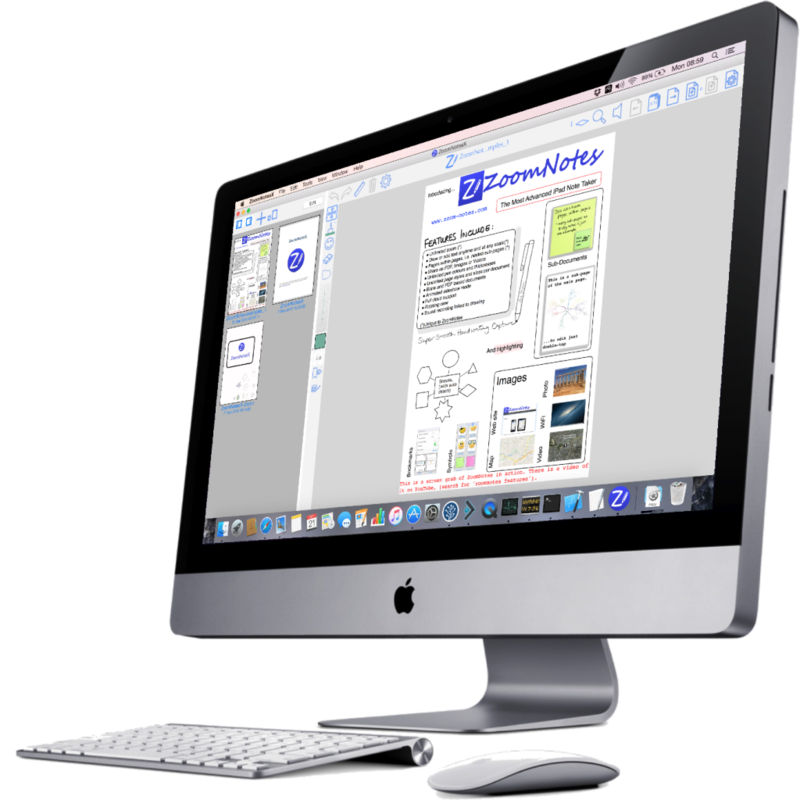 Import and handwrite over PDF documents. Import and write over MS and PPT Docs, videos and photos. 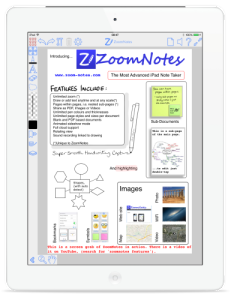 ZoomNotes’ unlimited zoom means that mind mapping, tree and flow diagrams have never been easier. Shapes, symbols, lines and arrows all facilitate visual thinking. With eight different pens including pencil and watercolour, super-smooth ink and unlimited zoom, digital sketching has never been easier or more fun. Bookmarks can be used to animate through your document. Used in conjunction with sub-pages these give a unique way of conveying the structure of your presentation. Output to the iPad screen, an AirPlay device, an external screen/projector or to a video. Saving all your files to iCloud means that they are available on all your digital devices and you’ll never lose them again. For example, work on your iPad and continue later on your Mac or vice versa. 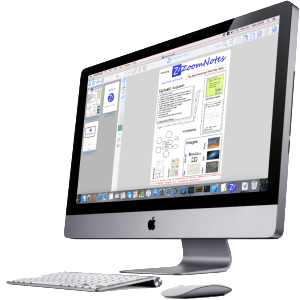 Create your own customisable digital planner document or import one of the many available PDF digital planner documents. 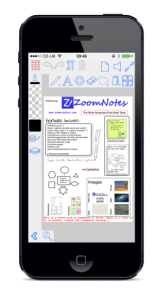 Uniquely ZoomNotes lets you add your own links between pages and even between documents. You can view and edit 2 documents side-by-side (or above-and-below). 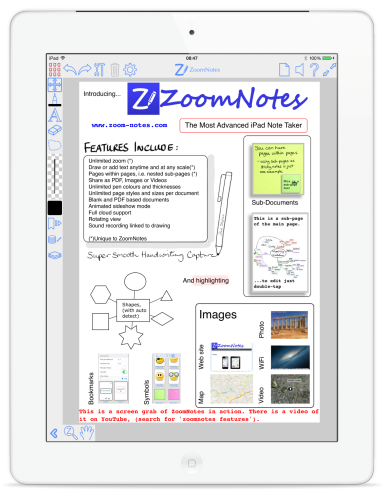 This is fantastic for making notes from a PDF document into you own notes document.